Did you enjoy watching the World Cup? Still celebrating or drowning your sorrows? Was it more enjoyable than you expected? Any surprises? Will you have any long-lasting memories? Did England overachieve? Did Southgate throw the Belgium game in the qualifiers, to give the team a better chance in the weaker, second half of the draw? Let’s conduct a post-mortem of all things football World Cup 2018. France were worthy champions, no doubt about that. Eleven goals in four knockout games and a second World Cup were no mean feat for a team of recent under-performers demonstrated by indecision and defensive tactics. No, they performed as a collective unified force. They were a team who effectively integrated their star players with hard-working drones. Every adversity they faced, they negotiated, progressing past Argentina, Uruguay, Belgium and finally Croatia. Belgium, Uruguay and Sweden also all showed what can be possible with teamwork and combativeness. Brazil probably played the best football in the tournament but came up wanting. Teams like Japan, Colombia and Serbia will all return stronger in four years’ time. However, the facts are that the last four World Cups have been won by France, Germany, Spain and Italy. Does this prove that European teams are the best and dominant on the world stage? And then, of course, we had England, ‘Coming Home’, following a unique wave of high optimism and low expectations. Gareth Southgate’s team impressed in flashes, through the easier half of the draw with an iron resolve, set-piece routines and their first penalty shoot-out victory in 22 years. This is really the first step, not the last. What then of this year’s FIFA World Cup superstars? Messi and Cristiano Ronaldo exited the tournament within four dramatic hours of each other. Messi’s geometry-defying goal against Nigeria, Ronaldo’s nonchalant hat-trick against Spain, was special. However, what happened to Mo Salah, Robert Lewandowski and Neymar who were all hotly tipped to make dramatic impacts upon the tournament. Will the 2020s be the decade of Mbappe and Pogba, De Bruyne, Hazard, Torreira and Betancur; or even Stones and Pickford? These football world cup 2018 footballing superstars are icons throughout the world. They dominate world media and impact upon all aspects of populist culture, including the world of art in forms of wall decor, street art and football art. 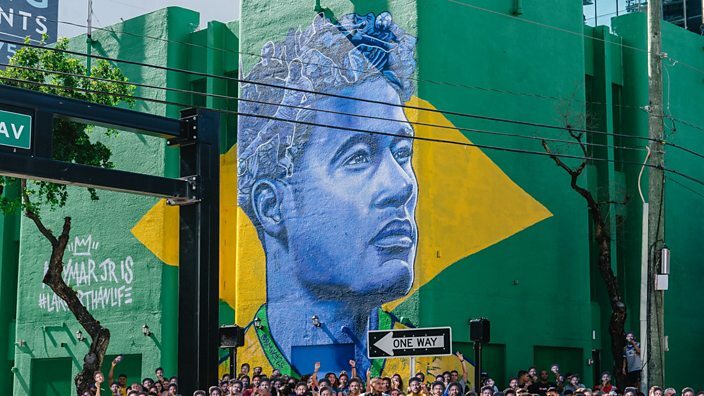 ‘All over the world, murals of the tournament's biggest players are popping up, including ones of Messi, Salah, and Neymar. This might not come as much of a surprise, but the locations for some of the pieces of art may well do. It’s not just the home nations that are backing the players. Who'd have thought a small town in Russia would feature a masterpiece with Messi? Or hidden under the countless billboards of Times Square, you’d find a patch of wall with Mo Salah on it? The FIFA World Cup was brilliant, but aren’t you a bit pale after staying indoors watching the TV for the past month? You need to get out in the fresh air and do some work in the garden. 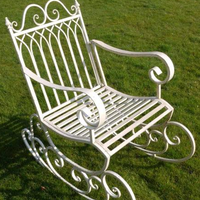 Simply browse and purchase our Garden Furniture, Garden Accessories, and in particular, our Garden Wind Spinners from our extensive range at Brilliant Wall Art. My personal TOP PICK is the set of three large square corrugated metal flower pot planters. They a are classical aged freestanding design, made from corrugated steel with steel handles and crafted by hand with a rustic, aged, distressed look. They are ideal for flower, shrub or herb planting, for either in or outdoors. Why not have a go at a make-over in your garden this summer? 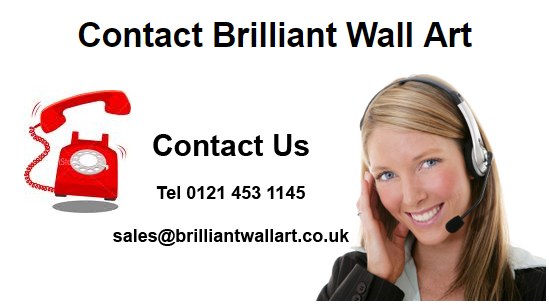 Brilliant Wall Art provides the best value garden accessories, garden products and outdoor furniture, metal, glass and canvas wall art across the UK, with numerous contemporary metal wall art designs for the garden, home and office. Why not take advantage of our multi-buy promotion? You could save up to £30 on your wall art. Simply spend a few minutes browsing our webpages, we offer a myriad of products and ideas. If you have any questions about our home accessories, please do not hesitate to contact us today.